Summer slide affects millions of children each year in this country—but it doesn’t have to. 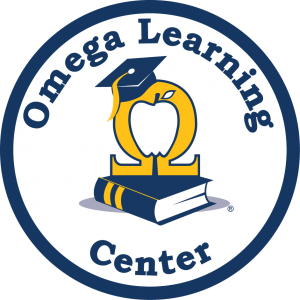 Omega Learning® Center offers highly effective summer programs that can help your student improve core reading, math, and writing skills to ensure a strong academic foundation. Omega’s highly qualified certified teachers can have your student stay sharp this summer by filling the skill gaps, teaching validated study skills, and helping your student build vital critical thinking skills needed for success for the new school year. Language and reading problems, including dyslexia (difficulty decoding language) and dysgraphia (difficulties relating to handwriting, spelling, and composition). Information processing disorders, including auditory or visual processing disorders. Despite normal vision and hearing, kids with these disorders have trouble with language development, reading, writing and mathematical ability. What’s more, some children may have more than one learning difficulty. About one-third of those with LD also have attention deficit disorder (ADD), with or without hyperactivity (ADHD), which makes it difficult for them to concentrate and focus on specific tasks. The common denominator: Each child shows a discrepancy between his overall intelligence and his ability to learn in one or more of the traditional ways. What’s more, just because a child has reading problems doesn’t mean they have a learning disability. Still, early identification and intervention can be critical to solving reading problems. The sighs of parents everywhere signal the seemingly inevitable homework tug-of-wars. Who hasn’t wondered, “Why can’t he just sit down and finish his work?” or “Should I remind him again about the science test?” Leapfrogging over homework hurdles can be especially tricky if you live with one of the kids described below. Remember that homework hassles are often discipline problems in disguise. Defuse the power struggles by following the cardinal rules of discipline in general: set limits that are reasonable — and stick to them when it’s realistic. To a certain extent, perfectionists just can’t help it: “We all have our temperamental predispositions — ways of relating to the world that are biologically linked — and this is one of them,” says Melanie J. Katzman, Ph.D., associate clinical professor of psychology at Weill Cornell Medical School in New York City. “Perfectionism can be a wonderful thing to pass on to your child, so parents shouldn’t feel badly about it. But carried to an extreme, it can become debilitating. Perfectionist kids may anticipate that they will never be able to meet their own high standards, so why bother?” To keep your child from getting gridlocked while doing homework, set a realistic example (by handling your own mistakes with composure) and praise effort, not grades. The Procrastinator finds 201 things to do before she actually sits down and starts her homework. Often, she waits until the last minute, then rushes through it. Sometimes the procrastinator will throw you a bone: she’ll gladly do her homework, as long as you’re right there beside her. That’s okay if you’re willing, and if your child is young — but eventually, she will need to be more independent.A child who procrastinates may do so for myriad reasons: she may be disorganized or have poor study or planning skills, or she may be anxious or angry about something at home or at school, in which case you need to play detective and talk to her, her teacher, or a school psychologist to determine why. To help, work with your child to set goals she can meet and to come up with a mutually agreeable homework schedule. The disorganized child is always “just about” to sit down and start his homework, but then . . . well, something comes up. Since his reasons for his inability to complete his homework often seem so logical, you’re thrown off guard. Should you give him the benefit of the doubt? Or is he just taking you down the same old road? You could tear all your hair out over the antics of a child who’s disorganized — and he still won’t be able to do what he needs to do. Sometimes, the problem may be a learning challenge. Sometimes, it’s as simple as providing a reasonably quiet, efficient workspace, or teaching him to organize homework materials, allocate time, and gather information. The trouble is, if you’re always supplying the information, reminding them to study, or rushing that forgotten paper to school, you undermine the whole purpose of homework. And the disorganized child will never gain the confidence he needs to do things for himself. Parents of underachievers often hear the lament “I’m dumb” or “It’s just too hard” from their perfectly capable kids. And they often hear it around 4th or 5th grade, when the amount of homework intensifies. Students must get used to stashing their gear in a locker, as well as the different styles of different teachers for each subject. To get your child who’s underachieving in motion, you need to be a cheerleader. One reason that working hard in high school is important is because it prepares you for college-level courses. At many colleges, accepted students must take placement tests in subjects such as reading, writing and math to see if they’re ready for college-level work in those areas. When you take a placement test, your results may show that you can skip some introductory courses. Or they may show that you need more preparation for college work. If this is the case, your college may require you to take remedial courses. Remedial courses are catch-up courses, also called developmental or basic-skills courses. They don’t provide credits that count toward your degree. But they do give you the opportunity to improve your skills so you can tackle college-level work and succeed. If you don’t need to take remedial courses in college, you’ll save time and money. You’ll be able to start right away on classes that interest you and that count toward your degree. This means you’re more likely to graduate on time and save money on tuition costs. How can you avoid having to take remedial classes? To start, talk to a school counselor once you enter high school and find out which classes colleges look for. Then take college-prep classes in a variety of subjects. While key subjects like English and math are important, colleges also value classes such as foreign languages and computer science. Choose challenging courses. The work will be closer to what you’ll experience in college. Ask for help if you need it. If you’re struggling in a class, talk to your school counselor or teacher. Make sure you have time for your schoolwork. Cut down on extracurricular activities if you feel like you’re spreading yourself too thin. Take advantage of any courses your high school offers in skills such as taking notes, studying and doing research. Stay focused during senior year. You’ll be able to get into the rhythm of college classes more easily if you keep working hard during your last year of high school.